Walton & Allen are a medium size Lettings, Management and Estate Agency based in Nottinghamshire and the surrounding area. Having dominated the Lettings area for some time they were making the conscious effort to increase their Estate Agency brand and reach. Walton & Allen approached us to redesign their existing website and implement an SEO and PPC campaign and strategy to push them further, faster. We began by conducting department insight sessions with each area of the business to glean useful details into how the company runs, incumbent systems and processes. A thorough review of their existing site and research really kicked off the project. We knew the site had many related user types that it had to attract on both sides of the lettings and homeowner markets, additionally the property market is highly competitive, so we concentrated on doing the basics well. By using an off-the-shelf CMS and writing bespoke code to integrate output from both on and offline systems we were able to dramatically streamline the back office processes. With a user focussed approach we added useful features and ensured the site was built with SEO in mind from the ground up. A responsive site, fit for purpose and targeting the key searched phrases. The site was designed from the very foundations, going back to basics and creating reusable components. Focussing on industry best practice and ensuring that the site was optimised for speed, ensured it was looked on favorably by the major search engines. 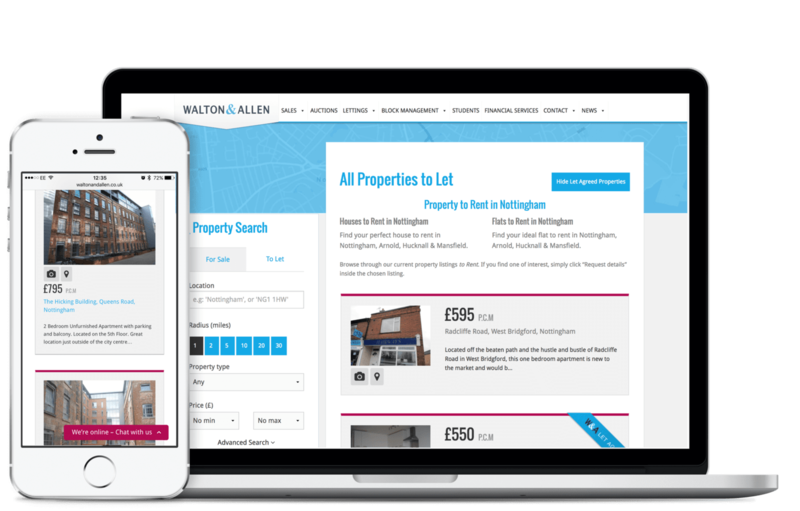 We built a targeted, localised SEO strategy for Walton & Allen that aimed to, as a local Estate Agency, to display the company highly in search results within the local area; this strategy allowed Walton & Allen to battle against the competitive market, from both local and national agencies. 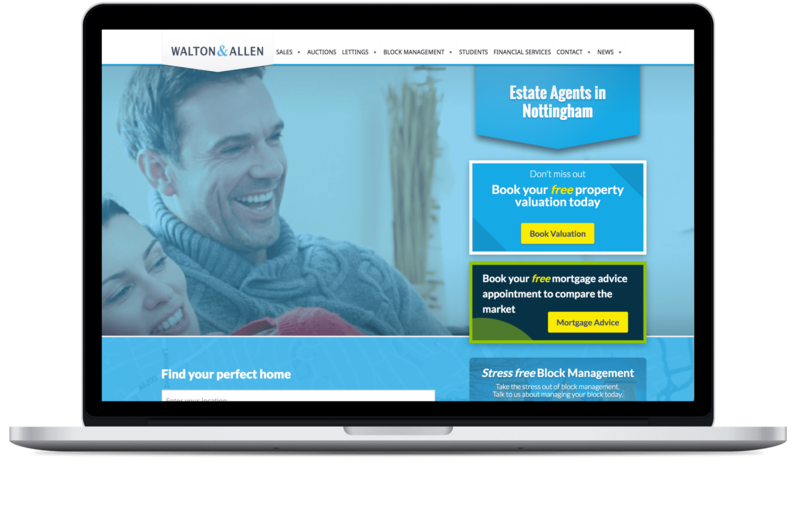 With a responsive website in place, the aim of PPC was to establish Walton & Allen as a brand in the local area, making it the Estate Agents to turn to. After establishing the brand identity, the focus turned to generating leads - through valuations and client-to-business contact requests; success was built by creating targeted campaigns by business area, such as those looking for Landlord Services, as well as further defining the audience by narrowing the market by areas and demographics. 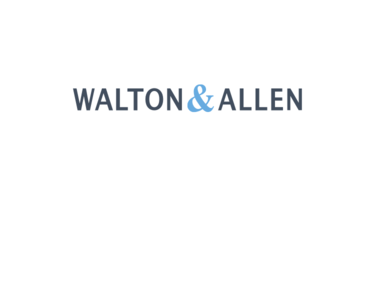 From initial meeting to website development, and through various rounds of updates and management meetings, we’ve continued to help Walton & Allen deliver the right content to their users, faster and in a more streamlined fashion. Our ongoing support has been valued in such a way that we are invited to regular business meetings to help with the guidance of their web direction and future budget planning.